Grad launch from residential area of Donetsk 18 June. Date unkown. 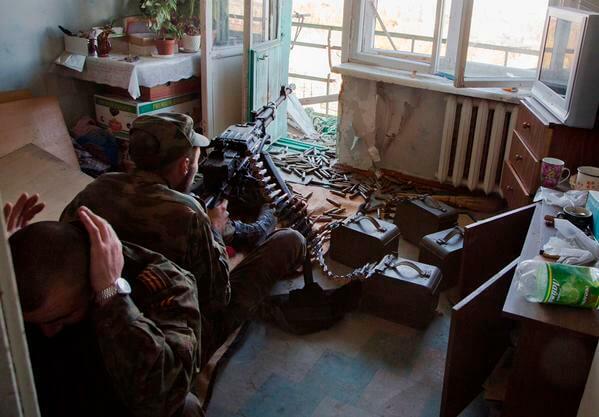 Russian militant heavy machine gun position inside an apartment. Mortar fire near Horlivka — from right between who homes. Jan 18, 2015. Lastly, Russia’s stories about Ukrainians killing civilians need to be taken in the context of their shameless and outrageous lies. 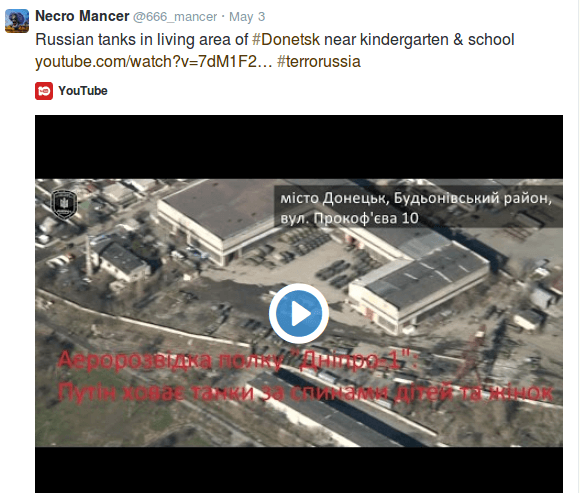 They’ve published footage from their own massacres in Chechnya and Georgia and claimed it was Ukraine. They’ve published footage from Bosnia, Syria and from movies. They’ve lied about baby crucifixions and staged massacres many times. June, 2015. Protesters in occupied Donetsk say “Stop shooting from our residential areas”. This entry was posted in News & Views on November 29, 2014 by RomanInUkraine.